96neko - Uso no Hibana · forums · community | osu! 2017-12-24 05:57 bite you death: 00:55:755 (3,4) - replace with 1/4 repeat maybe? the 1/4 sound starts here Questionable, I kinda agree but that would increase the momentum I gave to the upcoming 1/2 sliders so it's better to sooth out a little. 2017-12-24 05:59 bite you death: and replace the repeat sliders with circles Hmm not sure. I barely managed triplets with such as spacing here so I don't think it looks like a stream since even the rhythm comes quite 1/2 rhythmical here. 00:02:617 (5) - repos as shown, flows better & isnt as cramped https://osu.ppy.sh/ss/9843292 ✓ Did something similar! 01:19:691 (1,2,3,4,5,1,2,3,4,5) - ye Yes there is! 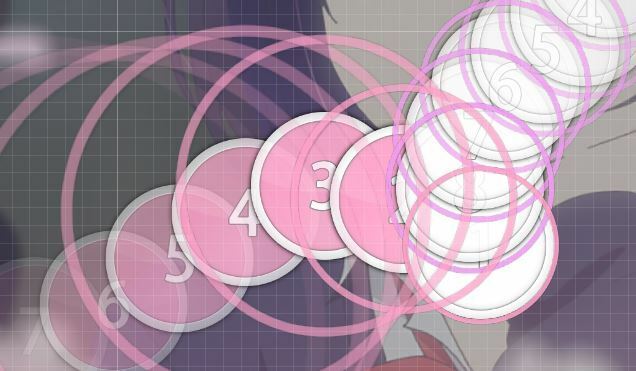 In order to put up some variation I decided managing a lower Ds in the first five circles so to avoid any confusion with the next stanza I increased the DS to make them slightly different. [notice]Why did you continue to follow ds and not emphasize 00:02:617 (5) - ? Compare 00:06:925 (1,2) - to 00:08:681 (2,3) - to 00:11:234 (2,3) - Yeah, this is something I should get consistent in order to avoid any confusion but for now I'll leave it as is. To be honest, this difficulty is really nice, but emphasizing is quite weird, although I only mentioned one thing, I would look through the map slowly if I were you. 00:14:824 (3) - Kinda overmaped here don't you think? There's no sound on the 1/4 tic here. 00:26:074 - I have a concern about this section, because I can't get what are you even trying to be consistent with.. I'd firstly be consistent with the vocals wich are pretty strong and intense here like : 00:26:074 (1,4,5) - I suggest you to Ctrl+G the rhythm here to follow the vocals. Same here 00:29:904 (1,2) - you end your sliders on the vocals, how about make them clickable, and inverse you rhythm here. And like : 00:31:021 (6,1,2,3) - here you can do smth like ctrl+g 00:31:021 (6,1) - this and 00:31:500 (2,3) - ctrl+g this. 00:32:777 (3,4) - This can be Ctrl+G too. and 00:32:298 (6,1) - this can be a 1/2 slider. 00:33:255 (5,6) - this one too. Damn this is a really good diff, looking forward in you making more great maps like this one. And like : 00:31:021 (6,1,2,3) - here you can do smth like ctrl+g 00:31:021 (6,1) - this and 00:31:500 (2,3) - ctrl+g this. fixed! ye hope this helped, gl! 00:56:713 - Maybe place a note here before the spinner? 01:27:191 (1) - Maybe a slider to 01:27:989 - ? Thanks for modding, no reply mean fixed!! 01:15:862 (1,2,3,4,5,6) - how about the way to make the distance of them increase gradually as intensity of vocal? 01:26:553 (4,5,6) - I thought it might be difficult to read or take the timing for players, so how about this would be easier to read. 00:55:596 (2,3) - Weird flow here. You should raise the entry point of the stream. 00:14:585 (1,2,3,4,5) - Consider changing the pattern to something like this so entering the stream isn't uncomfortable. 00:31:500 (2) - If you're following the vocals here, you missed a syllable right in the middle of this slider. 00:55:755 (3,4) - Maybe CTRL+G these? 00:20:968 (1) - This slider doesn't point into the following note -- raise the sliderend a tiny bit. 00:53:682 (4,5) - iunno, maybe put it in the middle between 00:53:043 (2,3) - ? 00:56:713 (1,2,3,4,5,1,2,3,4,5) - this feels like you're following the melody, but then now 00:59:266 (1,2,3,4,5,6,7,8,1,2,3,4,5,1) - feels like it's following the background guitar. imo follow the melody all the way through. 00:59:904 (3,4) - doesn't look pretty tbh, i have no suggestions so u can ignore this if u want. 01:23:521 (2) - the drop in rhythm density feels a little off; there are piano sounds u can still follow. 01:26:872 (2,3,1) - nitpicky here: could make into a perfect triangle for aesthetics. or if you want emphasis on that last note, could make it farther at around x490 y30. Cuz right now it looks at little underwhelming for being a really strong last note. 00:00:543 (1,2,3,4) - Can you check over this pattern? It doesn't seem like you copy+pasted & rotated cleanly. 00:06:925 (1,2,3,1,2,3) - really like this patter, but i wonder why you didn't do it at 00:12:032 (1,2,3,1,2,3) - . The usage of the pattern overlap really stands out for that particular part of the music. I would prefer you use that pattern overlap again at the 2nd instance. 00:42:830 (6,7) - Would prefer if the spacing here was more emphasized. 01:27:191 (4) - soft-finish here? 00:04:213 (1,2) - these repeat sliders doesn't follow the percussion here very well, & tbh neither do 00:04:851 (3,4,5,6,7) - as well. 00:43:947 (1,2,3,4) - ehh I wouldn't do the 3/4 slider thing here. I would just make it unique to the vocals at 00:41:234 - and 00:51:447 - . Otherwise it would feel overused. 01:01:819 (1,2,3,4) - why did you suddenly stopped following the melody here? 01:05:808 (2,4,6) - this line and spacing between each circle isn't perfect. 01:09:000 (4,5) - spacing is relatively a bit too big here. 00:02:617 (6,1) - kinda big spacing for a hard. The really low SV is a big reason for this. 00:05:649 (1) - should make into a repeat slider like you did at 00:08:202 (1) - for consistency (plus the sharp angle slider looks out of place). 00:14:745 - Another beat skipped for no reason, especially when the music starts to become more intense here. 00:20:968 (1) - why is there a random 3/2 repeat slider here? 00:27:191 (4,1) - spacing imo is a bit too high here. Happens at other places like at 00:29:425 (4,5) - 00:31:021 (4,1) - 00:31:979 (3,1) - 00:32:777 (2,3) - etc etc. 00:28:308 (4,1) - should have higher spacing to emphasize the downbeat on the white tick. 00:29:425 (4,5) - Not sure why there's big spacing here. 00:29:904 (1) - should have been the note that is emphasized. 01:17:138 (1,2,3,4,5,1,2,3,4,5) - cool pattern, but not appropriate in a Hard diff imo. The spacing (emphasis) in many parts in this diff is what you normally see in Insane diffs, not in Hard. Also spacing at some parts of the song seem inappropriate (some have been pointed out above). 00:16:340 - In this slow section, it looks like you're following the beats. Should make 00:16:340 - clickable if that's the case. 00:41:234 (1,2,3,4) - ^ similar reason above, these sliders alone make the rhythm really weak. 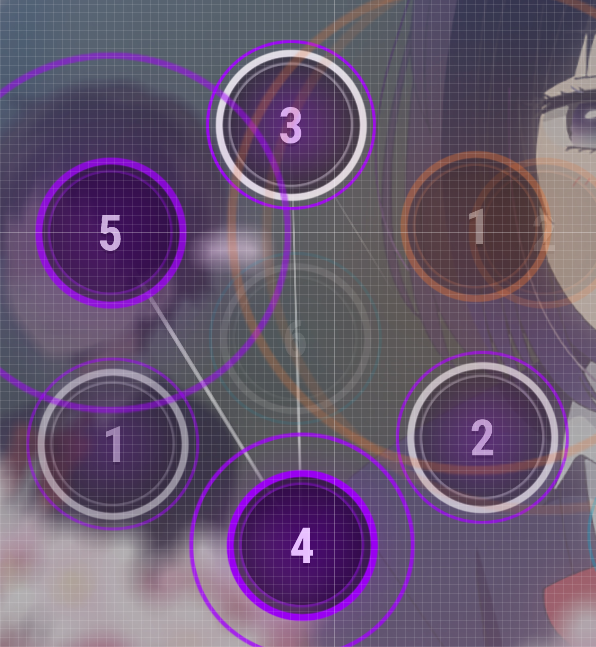 maybe add some circles in between those sliders. 01:14:585 (1) - Should be just a 1/1 slider instead of 1/2 repeat. You can make 01:15:223 (3) - a 1/2 repeat instead. 00:20:968 (1) - you've been following those 3/2 beats, but this slider breaks that consistency. 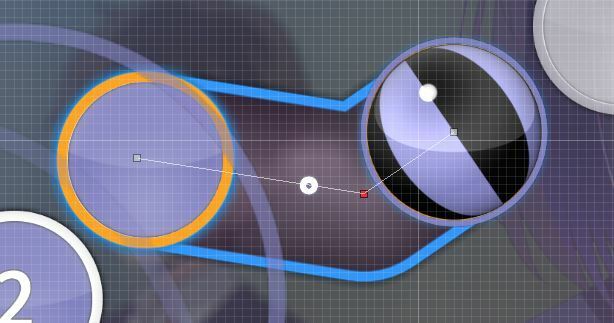 ^following up on that, it would be a 3/2 repeat slider spam, so if you decide to change this, you can alternate between a 3/2 repeat slider and 3/2 slider + circle. 00:05:011 (4) - nothing wrong with making this a 1/1 slider. Should try not to introduce 1/2 rhythms in Easy if possible. Would make it more beginner friendly. 00:06:925 (3) - IMO I wouldn't put a red anchor in these short sliders because it makes the sliders look really clumpy looking. If you're going to use them, at least put the red anchor more in the middle of the slider. Applies to all instances throughout the diff. 00:02:617 (6,1) - kinda big spacing for a hard. The really low SV is a big reason for this. FIXEXASO! 00:05:649 (1) - should make into a repeat slider like you did at 00:08:202 (1) - for consistency (plus the sharp angle slider looks out of place). I see what you mean but current pattern is actually consistent with 00:10:755 (1) - so don't want to break up the patterning there! 00:08:043 - Don't see any reason to leave this beat blank. Should make 00:07:883 (4) - a slider just to keep up with the beat They're called "breathers" and play as minor pauses so the players can reposicionate the cursor while paying attention to the rhythm while they click those. 00:14:745 - Another beat skipped for no reason, especially when the music starts to become more intense here. AY CARAMBA! LA NOTA WAS PUT! 00:27:191 (4,1) - spacing imo is a bit too high here. Happens at other places like at 00:29:425 (4,5) - 00:31:021 (4,1) - 00:31:979 (3,1) - 00:32:777 (2,3) - etc etc. Adjusted some! 00:28:308 (4,1) - should have higher spacing to emphasize the downbeat on the white tick. Yep! 00:29:425 (4,5) - Not sure why there's big spacing here. 00:29:904 (1) - should have been the note that is emphasized. I'm following the guitar arrangement here so it makes more sense if they have a jump there to keep up the flow created before. Last edited by Lafayla January 4, 2018 at 10:09:55 PM GMT , edited 1 times in total.